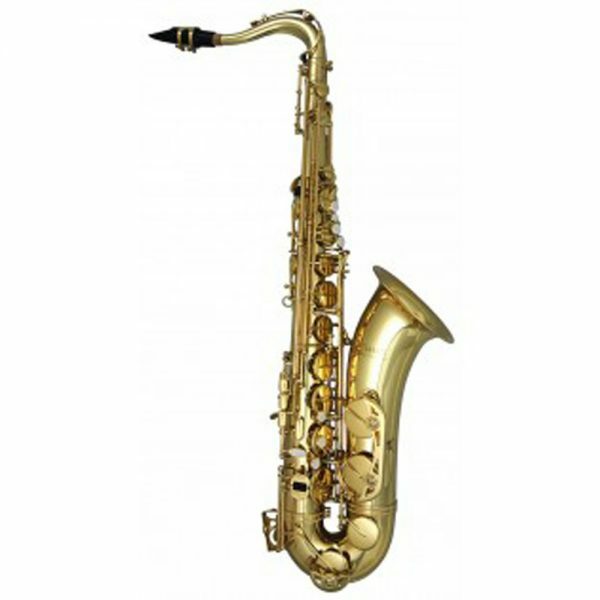 Trevor James Classic II Tenor Sax Outfit – Gold lacquer body and mechanism. Along with the Horn alto, the TJ Classic tenor was originally designed and conceived in 1993, with the aim of manufacturing a new range of saxes to fit into the distinctive, reasonably priced student saxophone category without compromising quality. Both the alto and tenor Horns launched at Musikmesse Frankfurt in 1994, and quickly became popular around World with their ease of sound production, excellent build quality and an affordable price tag. Understanding the importance of the updated Trevor James ‘Horn’ Classic models staying faithful to the design objectives of the original Horn (1993) was important. Combine this with new advances in crook design and it demonstrates perfectly, that with dedicated research and design, quality is affordable!